The 2018 festival is under way! We have already had Royston MusicFest last Sunday 23rd September and the last of 3 films in our Village Film Festival took place on Thursday. 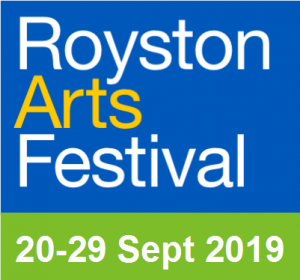 However, we still have our main festival weekend coming up starting Friday evening with Royston Arts Society’s Exhibition Preview from 8pm to 10pm at Royston Town Hall. 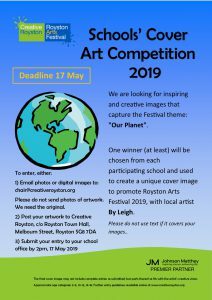 The Royston Fringe is also running several events – click on their poster on the left to discover more details. Underneath the Royston Fringe poster is the cover art featured on the front of the festival programme. 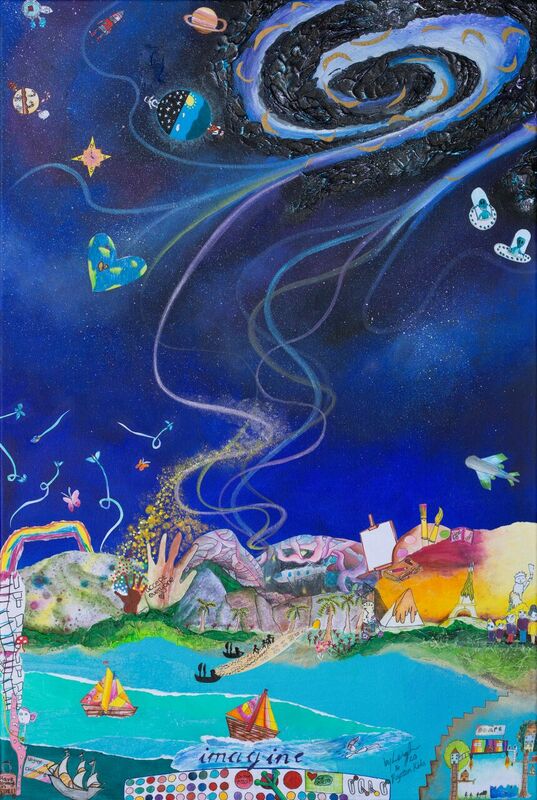 This is a composite work by the artist Stacey Leigh-Ross made up from selected pieces of artwork submitted by 269 local school children in our cover art competition. 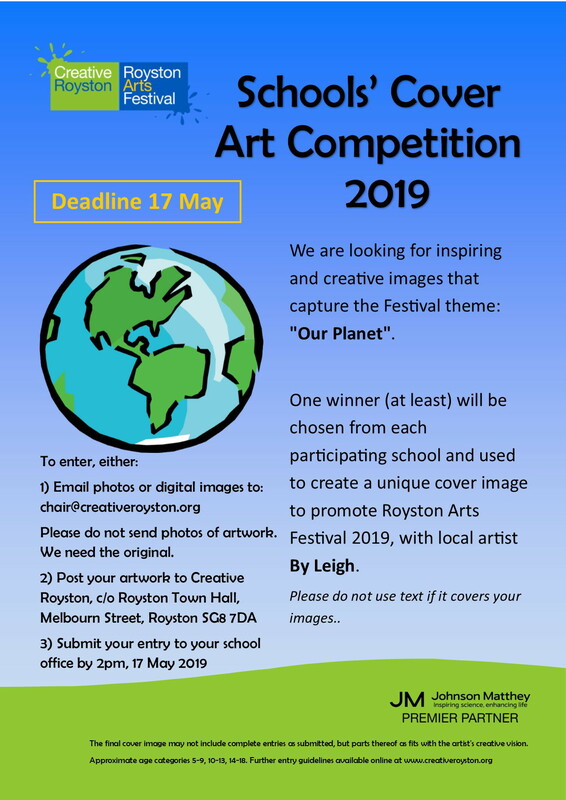 You can see many of the entries displayed in Royston Library until Monday 1st October and you can also bid for the original artwork by clicking on the cover art icon on the left. 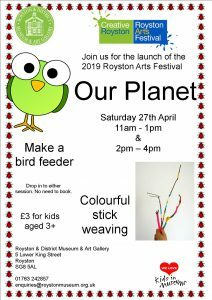 On Saturday there are exhibitions and workshops, a Community Event in Priory Gardens and a talk by author Andrew Mueller in Royston Library. 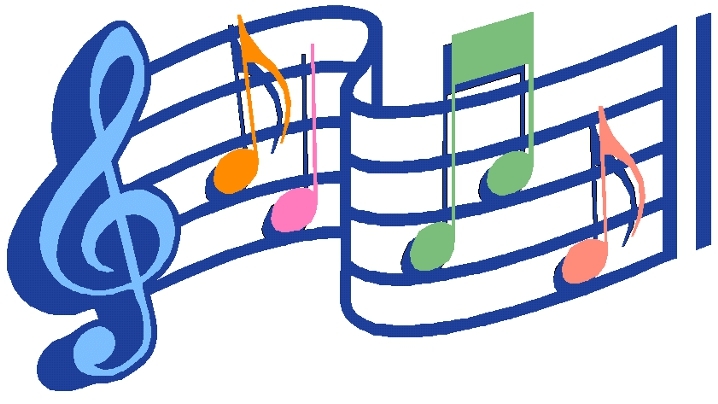 On Sunday, catch up with some more music at MusicFest Extra (for details check http://www.roystonmusicfest.uk/ and in the evening there is our traditional finale concert. 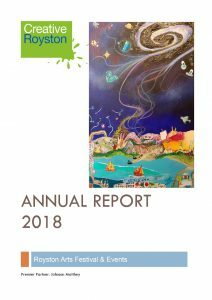 Have a look at the festival programme below or the 2018 Festival Quick Menu on the right which is divided up into areas of interest reflecting the categories in the printed festival programme. You can also buy tickets online for the appropriate event by using our Quick Menu.